In Between Rainstorms in Southern California and Digby Pays Us a Visit! If you have to shoot birds at a game club you might as well pick a nice spot! 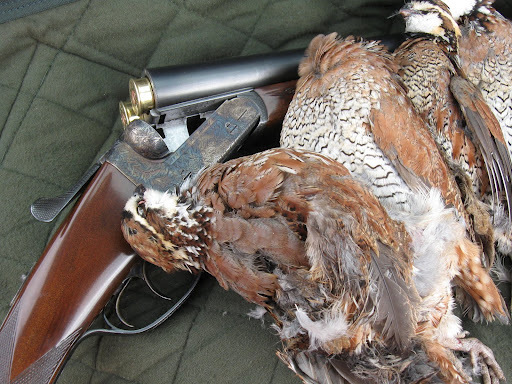 The manager put out five bobwhites for me and Pride over a three or four acre area between a ridge and the river bed. The river, normally dry, was flowing strongly with at least 18″ of water. The ground was nice and soft, ambient air cool and damp. Great conditions for Pride. I wasn’t too fond of the mud-blobs that started out as my boots, especially when they had grown to about five pounds each, but being your tough, intrepid old coot I soldiered on. We had a grand time, found all five birds though one flushed wild and we could never relocate it in the thick brush along the river. Another flushed wild and I had a passing shot just like duck shooting at about 40 yards and was lucky enough to hit the bird. We also had two red tail hawks keeping an eye on us and one of them followed the wild flushing bird. That may be why we could never find it again: it probably hit the brush and dug a foxhole, er’, excuse me, “birdhole”, two feet deep and hunkered down! One more notable event: anybody else have a retriever like my friend Digby? He lives at the club and goes everywhere with the manager, loves to flush birds and retrieve them. 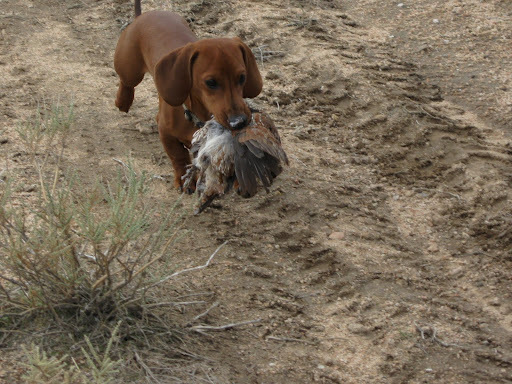 Of course pheasants are a little too much, but he tries! Digby could start a whole new trend! Hey, Birddogdoc, wanna’ buy a Dachshund? 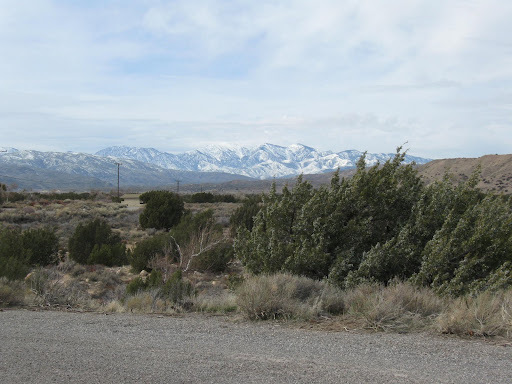 Next Post >The Latter Days…Now on to the Crazies! Love to see Digby on a sage grouse!Looks like a great day! Wish I was there to share it with you! When I saw the pic of Digby I had to take a second look. Then a third. I am still looking at it. Maybe it's a case of "monkey see, monkey do"! Karen: Digby is one tough little guy. He tried to flush a pheasant that was still a little dazed from the planting operation and when the pheasant "woke up" Digby had him by the tail! The pheasant couldn't quite get off the ground and Digby couldn't quite fly either. Finally he let go and the pheasant rocketed up into the air and was brought down by a club member. Then Digby tried to drag it in! All heart.